Enchanting is an excellent skill to use to buff up your gear and the gear of your guild and raid members, though it can be rather expensive to level. Some people pair Enchanting with a skill such as Tailoring. Tailored items can often be made cheaply and then disenchanted into useful materials. You might also be able to get your guild to send you items to be disenchanted. Going from 1-600 – if you’re under 90. Of course, working one of the gathering skills (mining, herbalism, skinning) can generate enough gold to buy enchanting materials. 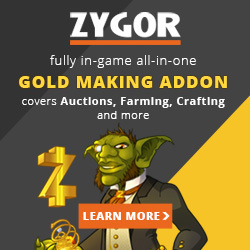 For some tips on earning more gold, go here. Disenchanting is a skill that you also gain, which allows you to break magical items (green and better) down into dusts, shards, etc. You can then either use or sell these components. Camping the Auction House for very low priced green items, to disenchant, is something that a few enchanters do for cheap materials or to sell the parts off for a profit. Enchanters have the ability to make scrolls to give to other players or place on the Auction House. You can grab the necessary Vellums from your friendly, neighborhood Scribe or grab them off the Auction House. Simply cast the enchant onto the scroll and then store it, mail it, or sell it. Profession Perk: Enchanters can enchant their own rings, and only their own rings, with their best stat (Int., etc.) As of patch 4.3 that is a +40 stat enchant (40 Int, for example.) These perks are dead in Warlords. There’s an easier way to go about all of this. Get yourself an in-game guide which detects your existing skill and then leads you, step by step, to the maximum skill for any profession. Not only that, it will lead you, step by step, to getting a whole pile of achievements and a few special mounts. Get it here. First off, none of the bits in the charts below this section are obsolete. In fact, if you’re under level 90 and you want to level your Enchanting skills, you’ll pretty much have to follow that list. Once you hit 90 though, and enter Dreanor, you can take your level 1 skill and level it to the max without ever entering the old world, except to buy materials. None of the old recipes will be needed. You can go back and grab them, you just won’t need them. Draenor Enchanting has a skill cap of 700. You no longer need to talk to your enchanting trainer to buy skill-ups, though the level requirements still apply. If you’re level 90 and in Draenor you will never need to talk with a trainer. 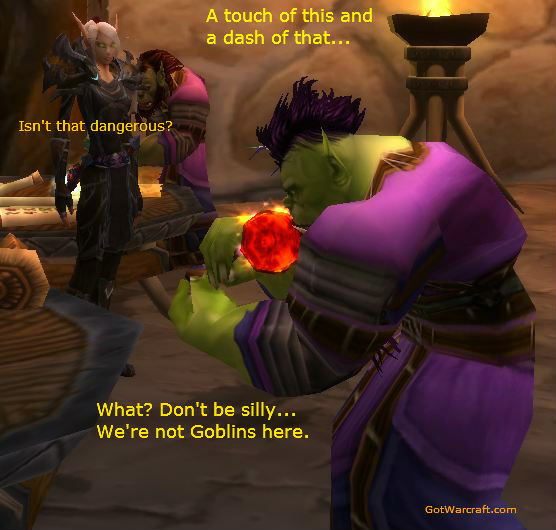 You can buy all the Draenor recipes from your Garrison vendor or an Ashran Enchanting vendor. Under level 90? You’ll need all the old stuff and will have to visit your trainer to learn new recipes. Most of the materials needed can be bought off the Auction House. 90+ (and in Draenor?) You will need none of the old stuff, though you’re welcome to buy the old recipes anyway. You can do all of your enchanting in the comfort of your Garrison. Garrisons will help with your Enchanting and in creating materials, as will followers. You will be able to generate more of the high end crafting materials and have access to some new stuff. You don’t need the Garrison hut, not even for recipes, but it’ll be useful. With the hut you can change (transmog) your weapon glows with Illusionary enchants. You don’t actually need to have the Enchanting skill anymore to make some recipes, but if you go that route you will need an Enchanting hut in your Garrison. There used to be a profession bonus for Enchanting, in that you could enchant your own rings. In Warlords, everyone can enchant their rings and no profession offers any special stat bonuses/enchants anymore. By the way, only rings, neck items, cloaks, and weapons can be enchanted (as of 6.2.) Nothing else. All of the older enchants still work fine, but only on items under item level 600. When you’re 90+ and entering Draenor you will quickly find a drop from random mobs. This will start you on an easy series of quests that will end with your receive a scroll that will teach you Draenor Enchanting. 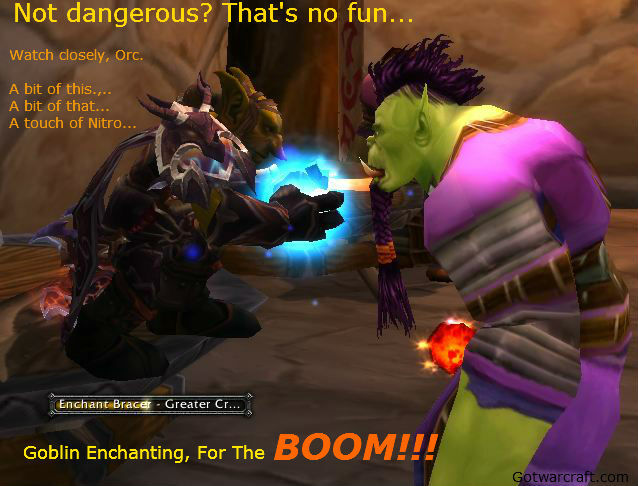 Or you can also blow 100 gold and buy the same scroll from then Enchanting vendor in Ashran. Also, note that you don’t actually need to have Enchanting to have access to some Draenor recipes. The image is from my character without the skill, but who has a level 2 Enchanter’s hut in the Garrison. Secrets of Draenor Enchanting – This is the currency you will need in order to buy new recipes. You can only make one of these per day. Most recipes cost 1 secret. Luminous Shard – Basic enchanting material. Temporal Crystal – created by you, daily. You can one each day, though it will shatter into shards at lower levels. Also created by your work orders. This section of the guide is for those under level 90 who want to level enchanting before they hit 90+. Once you’re 90+and in Draenor then you can do it all with Draenor Enchanting, even if your skill level is 1. Pick one (or both) of the following pair. Pick any of the following three, depending on availability of materials. Note: The above recipe will give you 5 skill points for creating it a single time. 576-600 Several recipes in this tier. Enchant Gloves – Superior Mastery looks to be easiest on the material requirements. If Spirit Dust turns out to be much easier to get than Mysterious Essence, then consider Enchant Chest – Glorious Stats for this tier. Gloves: 1x Greater Mysterious Essence.Chest: 12x Spirit Dust, 1x Lesser Mysterious Essence. 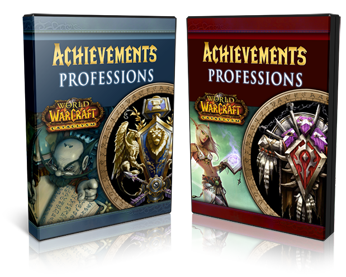 Make Enchanting, or any other profession, a lot easier with an in-game professions leveling guide. It not only shows you the easier way to level any profession, but also how to farm the mats if you’re cash poor. Plus, it comes with a full blown achievements guide. Get yours here.